Top Baseball Players of Past 59 Years! December 10th! Happy BBA Day, Fellow Bloggers! 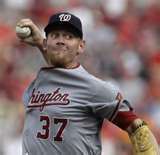 The Nationals Stephen Strasburg ~ Miracle or Mistake? Stephen Strasburg’s been on my mind a lot lately. For some reason I’ve been paying attention to the negotiations this year and was surprised when the Washington Nationals were able to secure Jason Werth. This is huge! When the Phillies were playing the Giants in the playoffs, my anxiety would surface when Werth was at the plate. Not so anxious about their pitching staff, but definitely Jason Werth. He was that good. So I’m happy Werth’s going to a team that really “needs” him and will appreciate his talents. The Nationals finished last place in 2010 for the 3rd year in a row. So when the scuttlebutt started this week about the Nationals being in the race to acquire Cliff Lee, after acquiring Werth, it was almost a heart-stopper! All of this brought back a reminder of my annual physical this year when I told my doctor I was taking an organized baseball tour and the first thing he asked was “Will you get to see the Nationals play?” It was an odd question because who cares anything about the Nationals anyway? But his daughter lives in Washington DC and she’d been talking about the new young pitcher who was causing a wave of near hysteria . It didn’t take me long to figure out what all the fuss was about. His name was Stephen Strasburg. year contract. Strasburg was a 21 year old rookie who ESPN referred to as the most hyped pick in draft history and was the only college player selected for the 2008 Summer Olympic US Baseball team in Beijing. 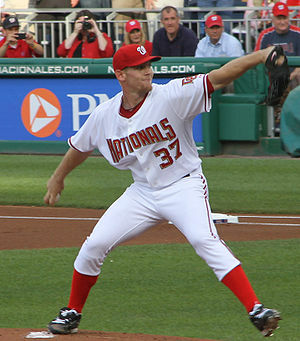 On May 8, 2010, Stephen Strasburg made his much anticipated major-league debut against the Pittsburgh Pirates. 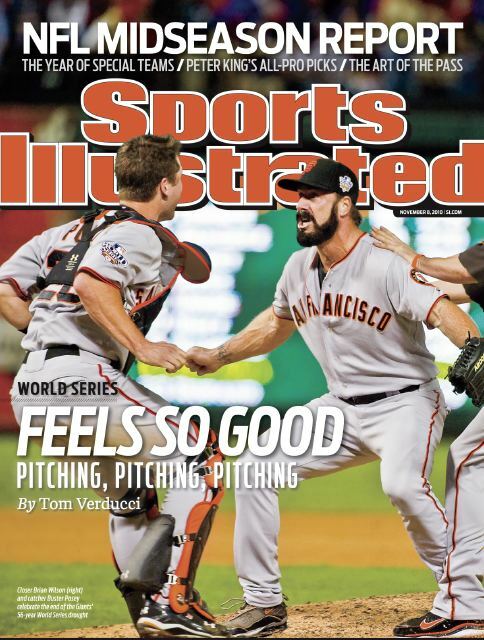 Sports Illustrated coined it the most hyped pitching debut the game had ever seen. In the game, the young pitcher pitched 7 innings, struck out 14, walked -0- and allowed only two runs, earning him his first major league win. In games two and three he struck out another 8 and 10 batters, respectively, setting a major league record for 32 strikeouts, the most in any pitcher’s first three games. And after only his second start, Sports Illustrated featured him in their cover story. I and thousands of others became an instant fan of the young Stephen Strasburg, the savior of those poor, downtrodden Washington Nationals. But it was not to be. On August 27, 2010, Stephen Strasburg was placed on the disabled list. The Nationals announced Strasburg had a torn ulmar collateral ligament, requiring Tommy John surgery and 12 to 18 months of rehabilitation. He had been placed on the disabled list in July, 2010, with an inflamed right shoulder and returned to play, but was removed again with an apparent injury before being placed again on the disabled list, this time requiring the major surgery. How did this happen? Or more to the point, why did this have to happen? I keep reflecting on the number of times this year when rookie pitcher Madison Bumgarner was prematurely pulled from the game for no apparent reason and how ticked off it made me. After all, we were ahead and he was pitching superbly and then for no reason, the powers that be bench him and go to the bullpen. Ye gods man! Let the kid pitch. Then Mike Krukow, one of the best of the best, would announce and explain in detail why the kid was pulled, and it was usually because of the pitch count. Young kid, young arm. Needed time to develop, to mature. Makes sense to me. It doesn’t seeem possible to me this could be the reason for Strasburg’s predicament. After all, these major league baseball teams have the best resources available to them and wouldn’t you think for sure they’d want to protect, not only the kid’s best interests, but the interests of their $15 Million investment? Strasburg would most likely have been up front in the running for the Rookie of the Year, and even possibly the MVP and who knows how it would have affected the Nationals standing? I don’t know, I’m just saying. I read a lot of baseball stuff and I’ve never seen this in print. No one’s talking about it. But if young Strasburg is in rehab, recovering from surgery because he was “overexposed” (34 strikeouts in 3 games with each pitch at or over 100 mph?) 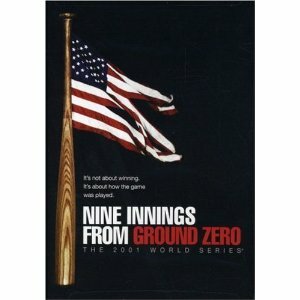 shame on the Washington Nationals and shame on major league baseball for allowing it to happen. It could have been avoided. Miracle or mistake? Does it matter? Geez, I sure want to believe it was a freak of nature and not just a mistake in judgment by an overzealous manager, so I’ll cross my fingers and say a prayer that hopefully Stephen Strasburg will return soon, breaking new records and performing a few miracles with some really good guidance from the powers that be. Hope to see you back on the mound soon kid! The Best Team Didn’t Win! Oh Really??? “You can judge the dog in the fight, but you can’t judge the fight in the dog”. Mitch Williams, MLB TV after the Giants won this year’s World Series. in the perspective of the media, players, fans, relatives, girlfriends, boyfriends, and on and on. On any given day during the 2010 season any one of the teams could have been called the best team in major league baseball ~ on that one particular day. And depending on the form of media you’re paying attention to, a bias is going to come through. And that bias is more than likely going to slant your thinking in whatever direction they plant the seeds to go. I didn’t really want to get into this right now because I’d like to write an entire blog on “awards” later, but take, for example, the Manager of Year Award in 2010. Since the year for baseball ends after the regular season, and doesn’t include postseason, I guess you could give an argument that the San Diego Padres coach is a viable candidate. I mean, his team held first place for most of the season, not by much, but still. But what about the Colorado Rockies coach who scraped and scrapped til the very end and almost pulled it off. Wow! That was some coaching job. But to me the ultimate coaching job, scratching and clawing for every win, right up to the very last game of the season, has to be Bruce Bochy. I didn’t agree with half of his managing decisions, but, hey, what do I know? In the end he almost always made the right decision. This was particularly evident when dealing with his pitching staff. Who knew? He moved the bullpen around with such regularity you didn’t know from one pitch to the next who’d be on the mound. But it worked. So I’m not quite sure about the “best manager” criteria, but on appearance, it’s possible some of these awards might be a little more about popularity and politics than actual performance. So be it. Not so, about an entire team. Take a look at a headline on the front page of the local paper this week. “IN THE HUNT. NINERS A GAME OUT OF FIRST PLACE.” The ridiculousness of this headline is the Niners are actually in the cellar, last place, Won 3 Lost 7! But leave it to the good old NFC West – the reporter’s right! There are four teams in the NFC West, and Seattle and St Louis are tied for 1st and Arizona and SF are tied for last. Good Grief! You think the writer might just be a little biased towards the Niners? You think? So for what it’s worth, in my humble opinion, here’s the bottom line. The best team always wins! Always! Maybe not yesterday and maybe not tomorrow ….. but today, on that particular field, with those particular teams, umpires, weather, and a hundred other ridiculous criteria, the best team wins! Like they did in the 2010 World Series. Put it in the books fellas!